Elsie Bernice Belbin, aged 95 years of Moose Jaw, SK passed away peacefully on Saturday, February 16th, 2019. She was born on September 29th, 1923 in Crandall, MB to Milton and Gladys Finley. Bernice grew up in High River, AB. She became a Stenographer and moved to Vancouver, BC during the war years. Later, Bernice moved back to Calgary, AB where she met the love of her life, Clifford Belbin. They then moved to Moose Jaw where they raised their family. 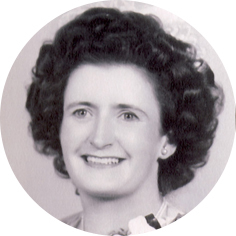 She was predeceased by her husband of 65 years, Cliff in 2014; sisters: Mildred Finley, Olive Kreutzer, and Virginia (Gina) Groeneveld; brothers: Edward Finley, Jim Finley, and Larry Finley. Bernice will be lovingly remembered by her daughter, Patty Belbin and son, Donnie Belbin; grandsons, Brian Barth and Aaron Barth; sister, Muriel (Mim) Meadows; sisters-in-law: Nita Finley, Teresa Finley, Jean (Bill) Chanski, and Florence Walker; as well as numerous nieces and nephews in Western Canada and abroad. A Private Family Graveside Service will be held at Rosedale Cemetery at a later date. Special thanks to the Extendicare staff, especially the care workers on the East Wing. We can’t say enough about the exceptional care Mom received during her stay. 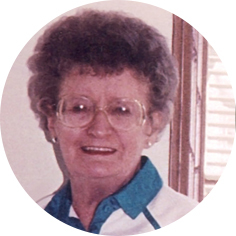 In lieu of flowers, donations in Bernice’s name may be made to the Salvation Army, 175 – 1st Ave NE, Moose Jaw, SK S6H 0Y9. Arrangements are entrusted to Moose Jaw Funeral Home, 268 Mulberry Lane. James Murdock, Funeral Director 306-693-4550. Our thoughts and prayers are with you Patty, Donnie, Brian and Aaron. Mom is at peace now. Love Susan, Glen and family❤️❤️. We are so sorry to hear about Auntie Bernice’s passing. She was truly a beautiful person inside and out. So many wonderful memories of our family trips to Moose Jaw. They were the best. Our thoughts and prayers are with you Patty and your family. My sincere condolences Patty and Donnie, Brain and Aaron. Bernice was always full of fun, she loved to tease and give Jim a hard time. I will always smile when I think of her. Our deepest sympathy to you Patty and family. We have wonderful memories of your mum and dad, having coffee with them at the mall. Please accept my sincere condolences on the passing of your dear mom and grandma. She was a great neighbourhood friend for so many years and always had a smile on her face and a kind word to say to everyone. It’s always hard to say goodbye to your parents no matter what their age. However, may all the wonderful memories of happy and loving times spent together as a caring family help you through this difficult time and remain with you forever. May she Rest In Peace.